This article comes courtesy of Shook Lin & Bok LLP. One of the leading and full-service commercial law firms in Singapore with a strong Asian presence and global reach. They have close to a century of rich legal heritage with a number of partners who are eminent lawyers in their respective areas of expertise. They have been recognised by reputable legal directories for their expertise in their major areas of practice including banking and finance, capital markets, corporate mergers and acquisitions, corporate real estate, employment, international arbitration, litigation and dispute resolution, regulatory, restructuring and insolvency, technology, media and telecommunications, and trust, asset and wealth management. To seek legal advice from this firm and a over a hundred other law firms, head over to Asia Law Network — Asia’s one stop portal for all your legal needs. 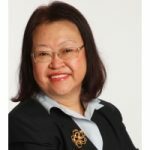 The case of Overseas Union Enterprise Ltd v Three Sixty Degree Pte Ltd  SGHC 71 (“OUE”) is instructive in the law regarding leases, setting out the principles a court would adopt when interpreting a lease. The case illustrates how courts would interpret the particular wording of clauses that are prevalent in leases, and helpfully expounds on principles applicable to the implied covenants of quiet enjoyment and non-derogation of grant. In this case note, we focus on these implied covenants and the general principles relating to these covenants that landlords and tenants should bear in mind when entering into leases. The plaintiff, Overseas Union Enterprise Ltd (the “Landlord”) leased the 39th floor of its hotel (“Level 39”) to the defendant, Three Sixty Degree Pte Ltd (the “Tenant”) under a lease agreement (the “Lease”). However, due to peculiarities with the leased premises, the Tenant faced difficulties in applying for a fire safety certificate (“FSC”) in respect of Level 39. As a result, the FSC application and the Tenant’s plans to operate its business as a bar/lounge on Level 39 were abandoned. Nonetheless, the Tenant retained possession of Level 39, but failed to pay to the Landlord any of the sums due under the Lease. The Landlord thus exercised its right of re-entry, terminated the Lease and demanded vacant possession of Level 39. When the Tenant failed to comply, the Landlord commenced an action for recovery of possession of Level 39, payments in arrears and other sums due under the Lease. The Tenant argued that the Landlord had breached, inter alia, its implied covenants of quiet enjoyment and non-derogation of grant under the Lease, and thus, the Tenant was entitled, by way of equitable set-off, to withhold payments, under the Lease, to the extent of its losses. The High Court (“Court”) held that the covenant that a tenant will have quiet enjoyment of the leased premises, and the covenant that a landlord will not derogate from the grant of the lease, are to be implied into every lease. The Court further held that the implied covenant of non-derogation of grant provides that the landlord should not grant a lease of land to a tenant on terms which effectively or substantively negative the utility of the grant. The test to determine whether there is a derogation from the grant is whether there is “substantial interference” with a tenant’s reasonable use of the proprietary right in question. The covenant for quiet enjoyment is a covenant that the tenant’s lawful possession of the land will not be substantially interfered with by the acts of the landlord and in this regard shares the same purpose and test as the covenant of non-derogation of grant. (iii) Where a lessor grants a lease but reserves some rights for himself under that lease, the doctrine of non-derogation can operate in favour of the lessor and against the lessee in connection with his exercise of those reserved rights. (ii) A landlord has no obligation to take measures outside the reasonable contemplation of the parties with regard to the premises unless those measures were specifically bargained for in the lease. Therefore, if a tenant leases the landlord’s property for the purposes of carrying on a particular business and if due to the peculiarities of its business, it requires the landlord not to carry out certain activities on the adjoining premises, this should be specifically stipulated in the lease. (iii) Even non-physical interference can constitute substantial interference with the ordinary enjoyment of the premises in the context of both covenants. An example is where the landlord’s actions on the adjoining premises causes an existing licence held by and required by the tenant for his business to be forfeited. (iv) The existing use of adjoining premises is always a material consideration in considering whether either covenant has been breached. If a landlord’s use of the adjoining premises was within the reasonable contemplation of the parties at the point of the signing of the lease, it would likely go some way towards a finding that the landlord has not breached the non-derogation of grant. (v) Both covenants are prospective in nature: the covenants do not apply to acts of the landlord before the grant of the tenancy, even if those acts may have continuing consequences for the tenant. The tenant takes the premises in the physical condition which he finds it, but also subject to uses which the parties must have reasonably contemplated would be made of the parts retained by the landlord. This case helpfully sets out the general principles relating to the implied covenants of quiet enjoyment and non-derogation of grant. It is worth noting that, contrary to its terminology, a disturbance to the tenant caused by loud noises would not result in a breach of the covenant of quiet enjoyment per se. Instead, the focus is on whether the interference (in this example, the loud noises) would substantially impact the tenant’s use of the premises. This same test is also applied when determining if the covenant of non-derogation of grant has been breached. As these implied covenants operate to protect tenants’ rights, tenants would typically wish to allege a breach of these covenants where a landlord’s actions impact on the tenant’s use of the premises. However, the case reveals that even though these covenants are implied into every lease to the benefit of the tenant, the principles relating to these covenants may operate to limit the scope of protection afforded to the tenant, as these principles generally state that the tenant is to take the premises subject to the existing use of adjoining premises, or to uses that would be within the reasonable contemplation of the parties at the point of entry into the lease. Nonetheless, it is ultimately a question of fact as to whether a landlord’s actions were indeed a substantial interference of the tenant’s use of the premises. An important takeaway from this case is that a tenant should bear in mind that these implied covenants are of general application and would not protect a tenant which requires extraordinary protection for a particular use of his trade. Such a tenant must stipulate in the lease any special requirements it may deem necessary. Furthermore, a prudent tenant, before choosing to lease the premises from the landlord, should also survey and investigate the premises and the current uses of the adjoining premises; one might wish to even go one step further to inquire as to what the landlord’s plans for the adjoining premises are, and to consider whether such current or future use may constitute potential sources of disruption to the one’s business. For quick, affordable legal advice, try our Quick Consult today! This information is provided for general information purposes only and does not constitute legal or other professional advice. It is not comprehensive. Specific advice should always be sought in relation to any legal issue. Shook Lin & Bok LLP does not accept any responsibility for any loss which may arise from reliance on the above information. This article is written by Chew Mei Choo from Shook Lin & Bok LLP and edited by Ong Kheng Hian from Asia Law Network. Chew Mei Choo has more than 20 years experience in corporate real estate transactions. She has advised on all types of commercial, industrial and residential property transactions including securitisation and real estate investment trusts.